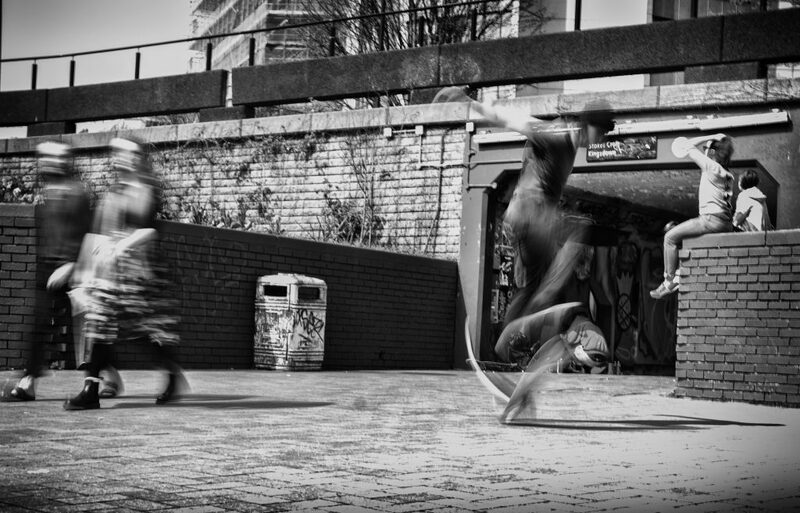 This capture is a long exposure of a skateboarder caught in mid flight on the streets of Bristol. I just love the way long exposures distort the limbs of the human form in motion creating strange elongated and distorted human forms. No where better than the streets and street photography to capture these ghostly effects.